Nokia is a leading mobile phone brand in Nigeria. Nokia phones are well known for their quality build, reliability, affordability and long battery life. In 2014, Nokia is offering lots of great mobile phones from the very cheap Nokia 105 to the very highend Nokia Lumia 1520. Here you will find resources such as specs and prices of current and popular Nokia Phones models available in Nigeria. Note that some of these Nokia phones were launched before 2014, but are still in hot demand. Nokia phones come with lots of features at a good price. Cheap Nokia Phones are in hot demand in Nigeria. If you are interested in medium to high-end Nokia phones models, you may interested in the Nokia Lumia Phones range that run the Microsoft Windows Phone OS, which are if you ask me the best value, best priced smart phones in Nigeria. 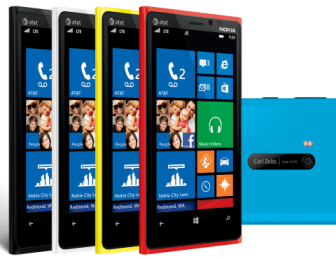 With as low as 20,900 Naira, you can buy a great Nokia Lumia phone. There is also the Nokia X range of Android based smartphones if Android is your thing. You can also checkout last Nokia Symbian phones based on the Symbian OS, or Symbian Belle Phones, or the Nokia E-Series phones built for business on Symbian. You may also be interested on how to buy Nokia phones. 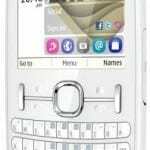 Nokia Asha phones are very popular in Nigeria. Their relatively low price point, quality build, and advanced technology makes them very popular amongst consumers in Nigeria. Nokia have also started adding some advanced features formerly reserved for Nokia Lumia phones and Symbian to Nokia phones in the Asha range. 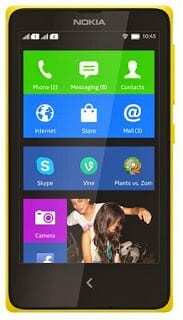 Newer models like the Nokia Asha 501 adds features like swap motion. 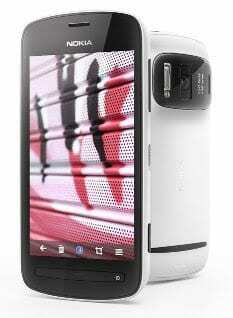 Top-notch Nokia Asha phones like the Nokia Asha 311 feature multi-touch capacitive touchscreen with high-speed internet, navigation/maps, and a fast processor for gaming. Full-Touch Nokia phones now come with advanced mobile features and are now categorised as smartphones. Smartphones in the Nokia Asha phones range include the Nokia Asha 311, Asha 310, Asha 309, Asha 500, Asha 502 and Nokia Asha 503. Some Asha phones offer dual-SIM support. Feature phones in the Nokia Asha range like the Nokia Asha 205, Asha 200, Asha 210, and Asha 202 run the Nokia Series 40, while the smartphones in the range run an advanced version of the Series 40, the Nokia Asha Touch. Nokia Lumia Phones are the ultimate Nokia phones. They run the Microsoft Windows Phone OS. Models like Nokia Lumia 520, Lumia 620, Lumia 720, Lumia 820, and Lumia 920 run on Windows Phone 8 and are upgradeable to WP 8.1. Older models like the Nokia Lumia 900, Lumia 800, Lumia 710, Lumia 610, and Lumia 510 comes with Windows Phone 7.5 and are upgradeable to Windows Phone 7.8. Latest models like Lumia 530, 630, and 930 run on Windows Phone 8.1 out of the box. Nokia phones running Windows Phone 8 come with MS Office with exclusive Nokia apps like the Nokia Maps, Nokia Drive, Nokia Music, and the Nokia City Lens for differentiation. All WP8 Nokia Lumia phones feature mobile hotspot that can support up to 8 wireless devices. 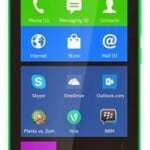 Nokia X are Nokia’s range of Android based smartphones. They offer a Windows Phone-like UI and services from Nokia and Microsoft instead of Google’s, but will support up to 70% of current Android apps. Currently available in the range are the Nokia X, Nokia X2, Nokia XL, and Nokia X+. 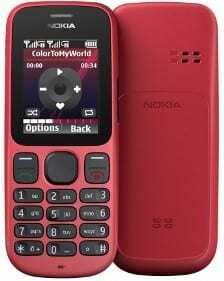 Nokia has always had a tradition of launching phones specifically for emerging markets some historic examples include the Nokia 1200 and Nokia 1208 cheap Nokia phones, which were arguably the most popular original mobile phones in Nigeria in their days and more recently the Nokia 105. These Nokia phones are cheap without compromising in quality and they offered record battery life. Cheap Nokia phones in addition to being cheap also offer flashlight, dust-resistance keymat, and long battery life. Nokia CSeries phones consists of some great bargain phones. If you are looking for dual-SIM, the CSeries consists of some of Nokia’s greatest dual-SIM phones like the Nokia C2-00, C2-03, and C2-06. However, all CSeries phones are not dual-SIM. Nokia C1-01 and C1-02 are the cheapest Nokia phones with MicroSD memory card support. C3 is a messaging phone coming with a full QWERTY keyboard and lots of messaging and social media features. When buying Nokia phones in Nigeria, it is advisable to buy from an authorised Nokia phones dealer. The major advantage of buying your Nokia mobile phones and other Nokia phones accessories and enhancements for your mobile phones from an authorized dealer is that you are guaranteed to buy genuine Nokia phones and accessories. You also get a one-year warranty on Nokia phones, plus good after sales services. Batteries for your phones come with 6 months warranty, while you get at least 3 months warranty on your phones charger. For more information on Nokia phones dealers, stores, sales outlets and shops in Nigeria, visit our Nokia Stores page.